The snow started to fall yesterday evening and continued through the night and for most of the daylight hours today. 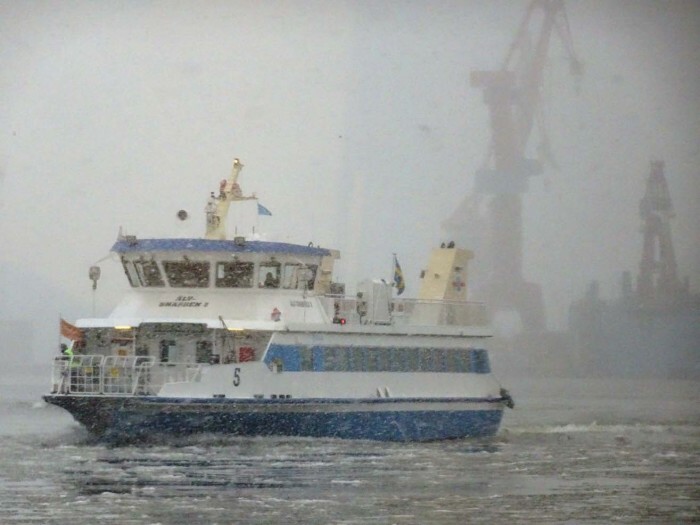 Älv Snabben 5 is one of the ferry boats that run as part of Gothenburg’s public transport system. This photo taken from Älv Snabben 4, just off the Lindholmen ferry stop.